Las Vegas, synonymous with glitz, glamour, nightlife, and lights, is not typically associated with outdoor activities and fitness. But for those who love the thrill of running, there’s no shortage of marathons, half-marathons, 5Ks, walks, and other Las Vegas running events. 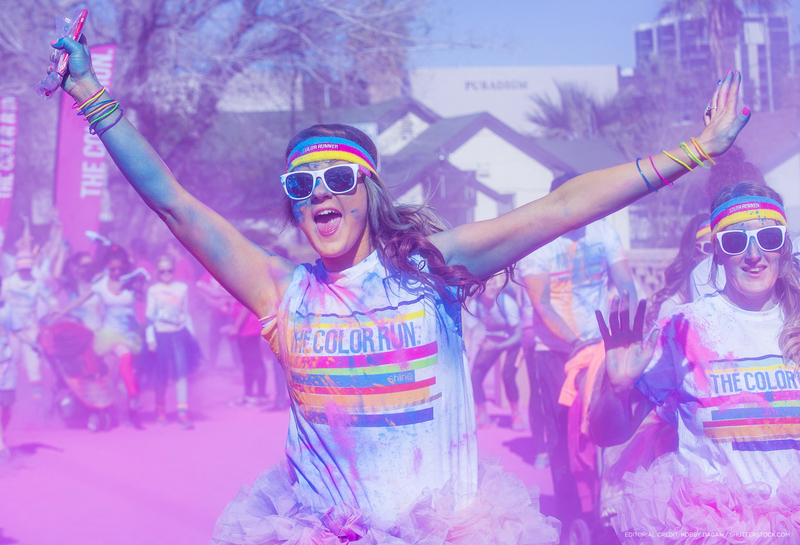 We’ve done our homework and have identified some of the most anticipated Las Vegas running events throughout the year. The GEICO Rock ‘n’ Roll Marathon Series, one of the only events that shuts down the Las Vegas Strip, is arguably the most talked about running event in Las Vegas. And this year, the Series celebrates its 20-year anniversary. From November 9-12, 2017, the extended weekend schedule of events will feature a Health & Fitness Expo, a Saturday 5K and Sunday marathon, a half marathon, and a 10K race. For many repeat runners, the highlight of the Rock ‘n’ Roll Marathon Series is tracking the high-energy course through the Las Vegas Strip at night, complemented by must-see iconic Vegas sights, live musical performances, an occasional tying of the knot during a five-minute ceremony, and thousands of passers cheering for the more than 30,000 participants. And here’s the best part – a portion of the proceeds benefits St. Jude Children’s Research Hospital. 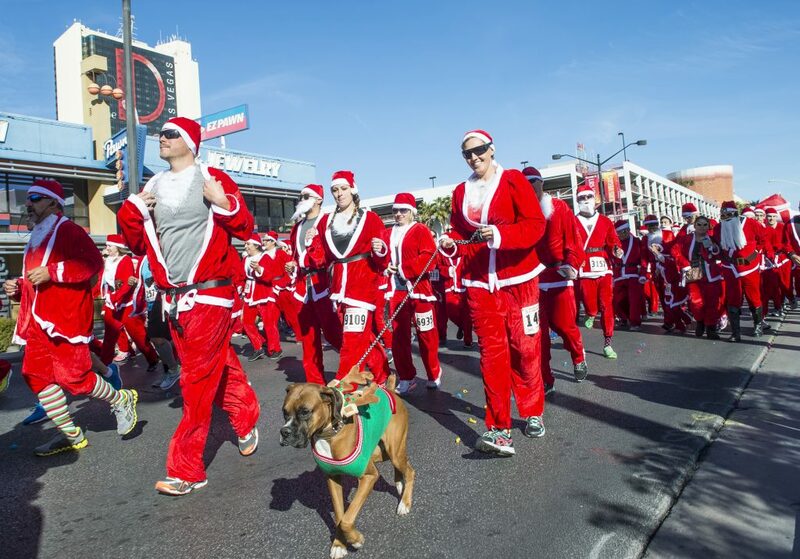 The Jingle Bell Run Las Vegas returns to Tivoli Village on Saturday, December 9, 2017 and proves that the holiday season is about more than just checking off your gift shopping list. The all-ages, holiday-inspired 5K- and 10K-timed events are a fun and festive way to get decked out and be jolly, while raising funds to support the Arthritis Foundation. Participants are encouraged to don their favorite holiday sweaters, tie jingle bells to their shoelaces, and wear whatever holiday décor that tickles their fancy. If you want to take steps closer to transforming the lives of children in our community battling life-threatening medical conditions, then the annual Make-A-Wish Walk for Wishes event on Saturday, March 10, 2018 is for you. The record-breaking one-mile event, which raised more than $550,000 last year, takes place at Town Square and celebrates all the wishes that have been granted, while raising funds for future wishes. Participants are encouraged to assemble their own Walk teams, recruiting family members, friends and co-workers to do their part. And don’t forget to bring those four-legged companions! The Running with the Devil Calico Race on June 23-24, 2018 is located along the valley’s western edge, framing Red Rock Canyon, Southern Nevada’s most notable natural treasure. 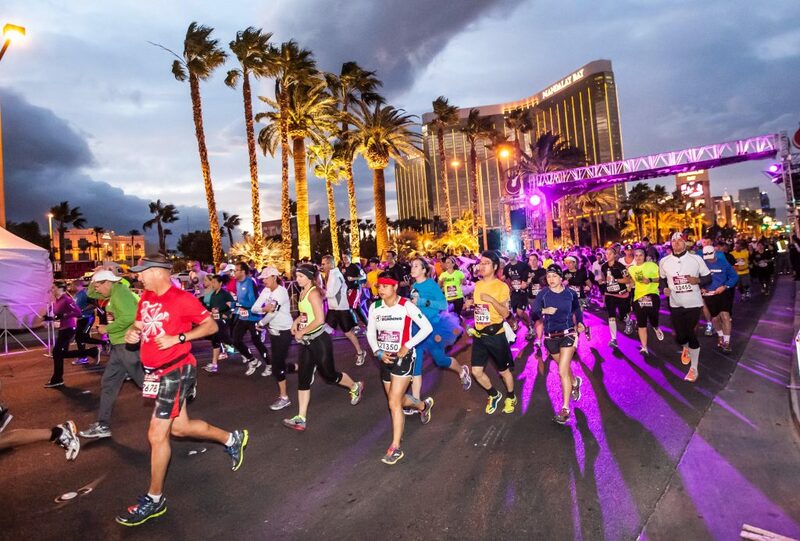 This Las Vegas racing event is for all runners and features courses ranging from 5K to a 100-miler. Participants have the opportunity to embrace the scenic outdoors located right in our backyard on a paved course, featuring the beauty within the Mohave Desert, such as Joshua Trees, sagebrush, sandstone formations, and wildlife exclusive to the region. So whether you’re a seasoned athlete or a rookie runner, there are races and courses perfect for just about anyone, all year-round.